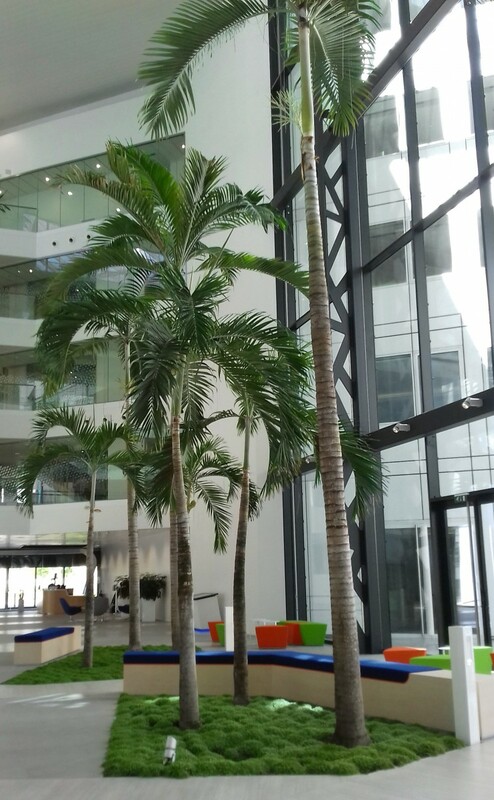 The challenge of this implementation lied, on one side, in the scale of the project as a whole with its tight schedule, and on the other in the prestige of our client and the BREEAM certification. The 5-storey building features a double glass facade with brise soleils in between. 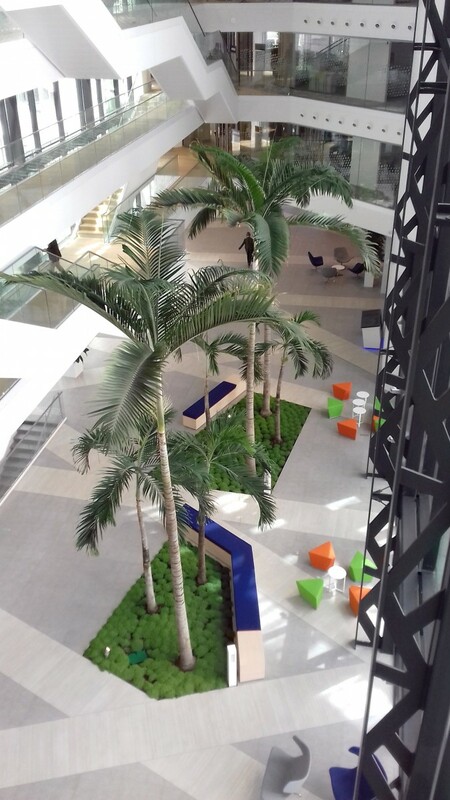 Inside is a vast atrium 18 metres high (24m x 10m), situated at the junction of the aisles which are interconnected by footbridges and a double flight staircase. 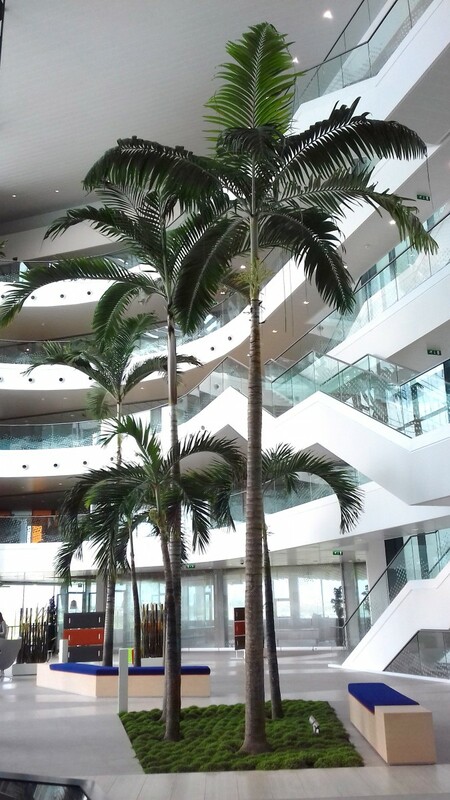 In the atrium are two pits of 26m², built and filled before the completion of the roofs, with seven palm trees, four of which are 5 metres high and the other three 11 to 12, the heaviest weighing a ton. The ground is covered with Helxine (Soleirolia soleirolii) with an integrated sprinkler system. The plants had to be eye-catching, aerial, free of low foliage to give an impression of being under a canopy, and be sufficiently rustic. Veitchia was chosen for this purpose. 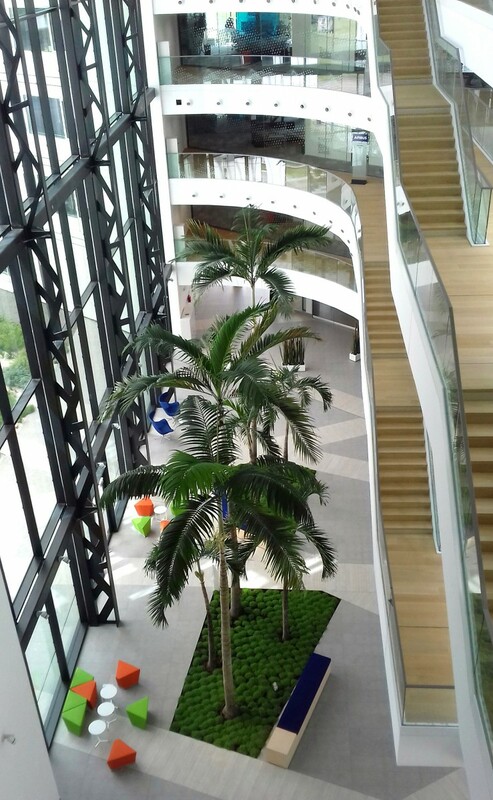 In collaboration with our landscape architect, plants were selected one by one by our Dutch provider, among the preselected range imported from Florida.